Potato is one of the biggest sources of calories. This is cheaper and easy to available all around the world. Maybe this is the reason why people love to get this food. There mostly a question comes that how long potatoes can last with preservation or non-preservation. I this the way to preserve the potatoes are also important. Because if the people preserve potatoes in the proper way it can be available in all the yearlong. And the food crisis will be overcome from few of corner. So let’s begin the session about the scientific answer of lasting time of potato and way to preserve. Keep reading till the last portion. How long do new potatoes last? Easily define the rotten or eatable potatoes? Non-preserved: In the natural condition, the potatoes can last at least 1-2 week. But if the air will be dry, and temperature will low, then the potatoes can last for more time. It can be 3 weeks at least. On the other hand, the place where we use to keep the potatoes will wet, then it will be rotten before 2 weeks. As neutrally average lasting time of potatoes is 2 weeks. Normally Preserved: Basically by the terms normally preserves means the process to keep the potatoes in preservation rooms. The temperature of the preservation room is always under 10 degree Celsius. Even the environment is dry and clean. Their potatoes can last 3-4 weeks. For short time business purpose normally preservation system is a proper idea as I think. Freezing preserved: In the freezing preservation, the potatoes turn to properly freeze like ice. And in this way, there is no chance to rotten. But there is the major problem is, after a certain time the potatoes are going out of quality. Taste and food nutrition has become low in the potatoes. In this process, potatoes can keep in eatable situation till 1 year long. 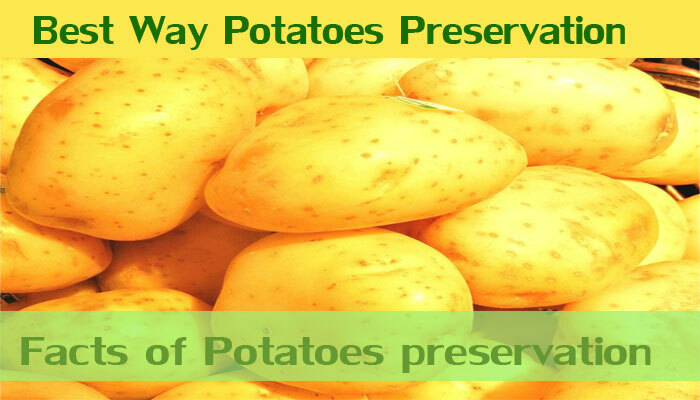 Hundreds of ways to preserve the potatoes in the world. 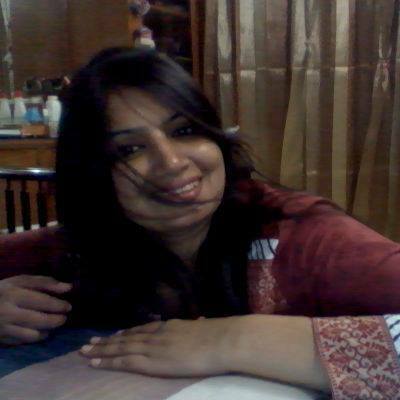 But there is none easy way how to keep them in the home for a long time. From this corner, I feel the importance to share an easy and of course cheap way to preserve the potatoes at home. Follow all the given steps. From all the potatoes filter rotten, Germinate, spotty and faulty potatoes. If possible use those filtered potatoes at the beginning. Filtering is important because those faulty potatoes can spread the problem to other potatoes fast. That’s why all the time you have to select strong and perfect potatoes for preservation. The wet potatoes can germinate faster. And after Germinate, naturally, it started to generate temperature. But to the way of preserve something, the temperature is the main barrier. If possible use a table fan to make those potatoes dry. Here I specially demotivate you to keep them under the sun. To prevent the unexpected Germinate, I suggest you for cleaning the potatoes. Stop using water to clean them. Use cleaner paper, wasted cloth or brush. Clean potatoes are not only safe from Germinate but also safe from virus and other types of harmful germs. In this step, we have to prepare the storage. Collect plastic fruit carrier case. Put Bunch of paper at the surface of the case. And keep a layer of potatoes there. Then again put another layer of Bunched paper. And again potato there. This way keep them on storage. This is the last and important reason. You have chosen a room to keep those potatoes. The room should be out of sunlight. Its temperature should be in 45˚F to 50˚F. Normally bedrooms of houses are in this comfortable temperature. This is the reason we are suggesting you to use your under the bed to keep those. This way you people can keep potatoes 4-5 month long. But after each week, it is important to check all the potatoes. If any of them are turn to affect then keep them out. Eatable potatoes: Normally potatoes can define by their smell. If the smell will turn to futile, then it needs to check. Cut them and check its inside. Eatable potatoes will be well colored. And it will be not too heavy and not too light in weight. It depends in order to its size. Rotten potatoes: Rotten potatoes become soft and wet. Its color turns to weird. And the most significant thing is, properly rotten potatoes come with Unbearable smell. Rotten potatoes are not only unbeatable but also they are harmful to other potatoes. Harmful potatoes: Today’s science is proving that, if the potatoes have become green under the sunlight it can be the reason for cancer. Even if the potatoes are too hard to cut, are suggested to avoid eating. Stop preserve potatoes with the chemical. Because it became harmful easily. Moreover chemical and formalin can spread itself by potatoes easily. Keep away from having Germinate potatoes. Most of the time during the long preserve we saw potatoes are become Germinate or become green fungus. All those acts like a poison in the human body. In the pile of potato, if one of potato become rotten, then it spread the rottenness to all the other potatoes. So, it is important to filter all the rotten potato from the pile. To make the potato long lasting, keep them away from the wet surface. It is better to keep them on a bamboo platform. It will keep all the potato dry. And dry potato needs more time to rotten. Keep all the food from waste. Because each year millions of peoples are suffering from lack of food. Because of the development of modern technology, potatoes can last for a long time. Maybe it can be more than one year. Spread the food to people all the yearlong. Because foods are happiness. And if the happiness becomes tight, there none can sad like this.